We are the leading manufacturer and supplier of an extensive range of Multifunction Load Manager. 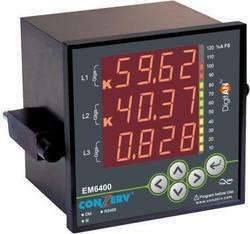 The design of these meters is based on proven micro-controller technology, resulting in compact and accurate meters. Our Multifunction Load Manager are highly demanded amongst our clients and are widely praised for its long last and efficient performance. Looking for Multifunction Load Manager ?